It's time for another Peachy Keen new release blog hop! If you came here from Viv's wonderful blog, you are on the right track. The stamps for this release are Valentines and St Patty's Day themed. There were 3 new AWESOME face sets that came out! I was so excited to be assigned to my favorite face set called Wide Eyed and Bushy Tailed (PK-757). The new sets go on sale today, so you gotta go check them out HERE (and there is a sale to!). 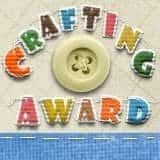 WIN THE WIDE EYED AND BUSHY TAILED STAMP SET!! Leave a comment and tell me which of the new face sets is your favorite. I will draw a random name and post the winner on Sunday. Please be sure to check back to see if you won! 1) Trim the top off ornament and round out pointed bottom. Clip about one quarter off the bottom of each medium oval piece to form feet. Trim the leaves off the branch to form the tail. Sponge the edges of all caramel pieces with close to cocoa ink. Sponge the edges of the blushing bride circles with blushing bride ink. 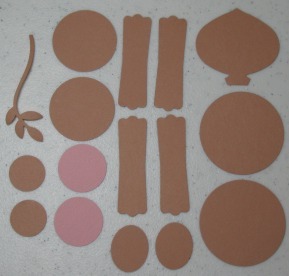 2) Glue pink circles onto inside of 1 3/8" circles for ears. Glue 1 3/4" Circles together for body. Stamp face onto ornament using the Peachy Keen 1 1/8" Wide Eyed & Bushy Tailed stamp set (PK-758). Color in whites of eyes, highlights and teeth with a unibal white gel pen. Add color to the eyelids with blender pen and cocoa ink. Apply regal rose ink to cheeks with stipple brush (or lightly with sponge/dauber). Cut a piece of acetate (window sheet/transparency) 5 3/4" x 5 3/4". Along one side, score at 1 3/4", 3 1/2" & 5 1/4"
Along other side, score at 1 1/4" & 4 1/2"
Apply sticky strip or other strong clear adhesive to the 1/2" tab on the right side of the box as shown above. Sharpen the score marks. Adhere the 1/2" tab onto the other end of the box to form a triangular shaped tube. 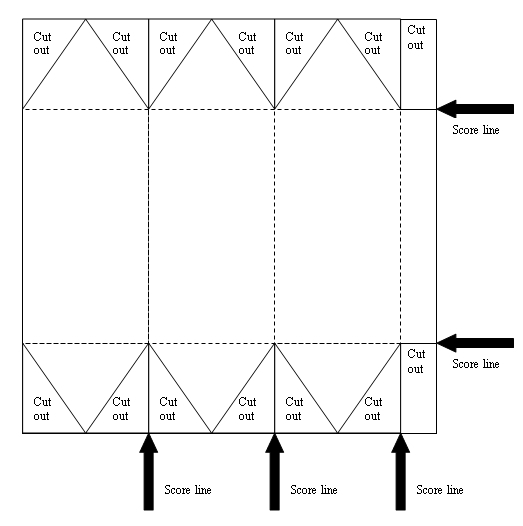 Fold the triangles at the top and bottom of the box inwards to close the end. Tape the bottom closed. Leave the top untaped so you can add treats. This box was created for the Reeses valentine peanut butter hearts. I think that the Hershey's Bliss heart candies may also fit. You can stack 6 hearts perfectly inside the box. Attach mouse to back of box. Use dimensionals to attach paws to sides of box. Stamp and attach tag to box. I love it...so cute! TFS! Kim, I am just in awe of what you can envision with your punches. This is one of the cutest things I've ever seen!! You TOTALLY ROCK!!! that is too cute. I love the triangle thanks for sharing the pattern for it. omgosh these are so cute..TFS!!! i am lovi'n the Bright Eyed TOO!!! that is so cute. I love the stamp set Wide Eyed and Bushy Tailed (PK-757). I can't believe you created this just out of punches...so good. The face is PERFECT too. I don't have a favorite set yet though. OMG!!! THIS IS THE SWEETEST TREAT BOX EVER!!!! I JUST LOVE EVERYTHING YOU CREATE MY FRIEND!!! Very Cute, love your blog. OMG! This is soooo stinkin' cute!!! What a cute treat for Valentine's Day! Thanks for sharing the instructions! So super sweet, thanks for the step by step!! My favorite is the wide eyed kid set!! Thanks again!! Super cute!! These faces are adorable! these all are so sweet. I have to say the wide eyed bushy tail are my favoeite. What a cute little Mouse! This would be so sweet filled with sweets for my Grand son's Kindergarten class. Wow your first comment. I have never been a first themouse that you made is so cute. Very unique. I love all the new sets, can't just pick one.I love your project!! So adorable. I love the new stamp faces too. I think wided eyed and busy tail will be a sure favorite for me (and everyone). I love your little mouse box. So adorable. OH MY Goodness this little mouse is super cute. I am going to have to attempt to make this mouse his face is adorable. I'm with you, the Wide-Eyed & Bushy Tailed is my favorite. Your little mouse is adorable. Thanks for the tutorial on how to make it & the cute box. I love this new stamp set and I just about fell in love with your little mouse!!! That's so cute! I really like the Wide Eyed Kids stamp set. It is sweet looking! My favorite is wide eyed and bushy tailed faces- the expressions are priceless. TFS!! YOu are sooooooo talented. Love the Mouse Candy Holder..... adorable. This stamp set is by far my favorite. Have some many ideas already swirling around in my head. Oooh this mouse is sooo cute! My fave set is either wide eyed or the boy set. I love them all! Guess my favorite would be Wided-Eyed & Bushy Tailed. Love your mouse project. Gonna have to give it a try! Super Cute!!! Those are definitely my favorite set!!! 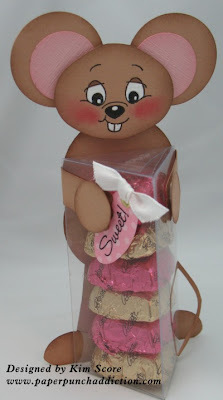 Love your lil mouse and the treat box is such a great idea for Valentines Day!!! Thanks so much! Your mouse gift is too cute! My favorite set is the wide-eye kids. That mouse is just adorable and what a great idea!! Thanks for sharing. What an original idea. The faces are great. This is so sweet I love it! Great idea. My favorite stamp set is the wide-eyed kids but really they are all cute! How cute! I love you little mouse, Kim! The new face sets are awesome! I think my favorite is Wide Eyed Kids! Thank you for the template for that cute box. Love the faces. toooo cute. Oh how adorable he is!!!! I love him! TFS!! Love this treat box! It is very different and unique! My favorite of the new sets is Wide Eyed Kids and the Wide-Eyed and Bushy Tailed set! Thanks for sharing such a cute creation! Your treat box is so cute. Thanks for sharing. He is just too cute. I want this set. please make it happen. I know random is the mantra. I hope I am randomized. That is so amazing and cute! I think I might just attempt to try this myself...(If I get the courage to) TFS! I LOVE all of the new faces!!! But I think my favorite is going to be this one - Wide Eyed and Bushy tailed!!! Thanks for sharing! My favorite is Wide Eyed Kids is my favorite but I love them all. Your project is adorable. Such a SUPER project!! He is too darn cute!!! Thanks for the GREAT tutorial you included!! Very cute mouse! I love the candy holder too. Super Duper Cute. Love your project. My favorite faces. The Critters! Time HOP HOP HOP and enjoy the eye candy! WOW your punch art is so awesome. Your project is so cute. I think my favorite new face stamps are the wide eyed and bush tailed because I could use them on alot of different animals. Thanks for the chance to win. Your project is awesome and so are the new face sets. Adorable!!! Love this mouse...so squeaky cute! I am in awe of your talent. Makes me 'need' to increase my punch sets!! Who doesn't like the new wide eyes set? So many possibilities! I love your box!!! It is adorable! My favorite stamps would be these bright eyed and bushy tailed. I saw them on the peachy keen blog and fell in love. those teeth are the best!! THis is too stinking cute!! My favorite new set is the Wide Eyed Kids!! Wow what an awesome project you came up with!! I love the new face stamps! Cute project! Wow, great paper piecing! Cute face too. Sooo cute and thanks for the chance to win the new stamps they are so cute tfs!! My favorite set of stamps is the Wided-eyed and Bushy-tales stamps. 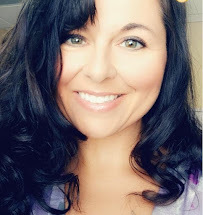 Glad to have a chance to win them on this blog hop! These new face stamps are adorable. I think the Boy Mates are my favorite. Great project...glad you got to use your favorites! It is hard to choose but I think I like the Wide-eyed Kids the most. Thanks for being in the hop and sharing with us. Wide eyed and bushy tailed looks awesome!! so many ideas are rushing into my creative brain! The new faces are so adorable. Great project, you are very creative with the punches. What an adorable little mouse - great pattern! Love his face, so darn cute! Such a clever idea and soooo cute. Paper piecing always amazes me! adorable what a great idea.. this is super cute! thanks for sharing. The wide eyed kids is my favorite, though the critter one is super cute too :) I love the treat box you made. TFS! Oh my goodness. You are amazing with a punch! The PK faces were an excellent touch. Wowzers!!! TFS and the chance to win. Adorable! This is hard but I think the wide-eyed and bushy-tailed could be my favorite. I love this project, it's too cute! I think wide eyed kids is my favorite! Cute mouse box! Your project is so adorable! LOVE IT! I can't pick a favorite...they are all so cute! I just love the mouse it is so adorable. Thank you for sharing. I love the stamp set Wide Eyed and Bushy Tailed (PK-757). My favorite are all of the face sets. I would have a hard time picking just one! Cute project! How adorable! Thank you for sharing the pattern! My favorite is the bright eyed set but they are all very cute. Love your creations, thanks for sharing. Adorable project! I am a new follower of your blog and look forward to returning to check out your other projects. Awesome job highlighting the new stamps. Thank you for sharing. This is sooo cutee!!! what a great idea!!! Love those PKS!!!! The little faces are so cute! I LOVE your project. Love all the Details of your piecings! He is the cutest thing I have ever seen!!!! Awww... what a cute way to decorate a lil giftbox. I love making giftboxes and your creations are a Big Inspiration for me to create more cute ones. Thanks so much for sharing your amazing talent with us. Kim as usual you did awesome. Just adorable!!! Love it! 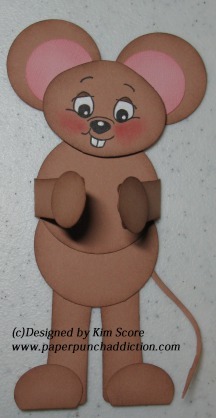 :) What a cute little wide-eyed and bushy-tailed mousey! very cute way to do this! all the stamp sets are so cute it is so hard just to pick one! That is the cutest mouse! Love the project you made to, what a great idea for the candies. Ohh and a tutorial also! I am loving this blog hop. And I love the mouse!!!!! So glad I found Peachy Keen!! Your mouse is so cute. I think my fav is the wide eyed kids. Oh my goodness, the candy box is just too cute! How creative! 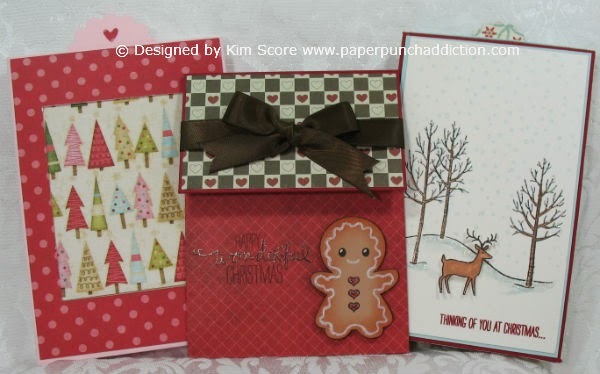 I love how you used stampin up punches. These are some wonderful face stamps! Thanks for the chance to win. love them all, but wide eyed bushy tail is my favorite! You did an AWESOME JOB!! WOW that might be the cutest mouse eva! Thank you for sharing your talents with us! My fav is yours - WIDE EYED AND BUSHY TAILED. Love the detailed instructions for your project. Very Cute little mouse! I don't know if I can pick a favorite they are all so cute! O M G ! ! ! ! ! this is so darling... I just flippin' love him! and the shape of the box is perfect for those heart shape chocolates!!!! thanks for the idea! And I think I have to say this wide and bushy tail faces is my fav from the release. WOW, awesome box and an adorable mouse. The face is so cute. Thanks for the chance to win. Sooo cute, and thanks for the detailed instructions!! Such a sweet mouse! Love that little face! I have to say wide eyed kids is my fave! What a great idea for Valentines party :) Too cute!!! Awesome tutorial! I love them all! Oops, my favorite so far is the wide eyed one! Oh I love this. It is so much fun using punches. Thanks for all the directions. 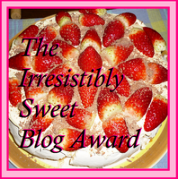 I have blog candy and I would love to have you join in. Oh my goodness this is so super cute. I love everything you do Kim so creative!! !My favorite set is the wide eyed kids. Love that one. I LOVE all three of these new sets!! I couldn't decide on just one! Thanks for sharing the tutorial for the mouse. It is so cute! My fav set is the wide eyed set! I can't believe what you create with punches. Just amazing. I also love the mouse face stamp. SO adorable! TFS! Wow, this is so cute! What a great idea! Oh your treat box is super cute. Thanks for the instructions. That little mousie face is the sweetest. Cute, cute idea!! Great for valentine's day! I just love these new PK stamp sets. OMGosh!!! Super cute candy holder!!! Love your work as always!!!! Oh your project is adorable!!! My favorite set is the Wide Eyed kids but I love all of the new face sets, I think I need them all!!! Great execution Love the teeth I like the boy mates the best but then again the wide eyed and bushy tail or no maybe the wide eyed kids. Sorry I seem to be having difficulty deciding. My favorite are WIDE EYED AND BUSHY TAILED. You always amaze me with the use of punches! Your creations are always jaw dropping! Thank You for the tutorial too! I really can't pick my favorite because i love and need them all! the Wide Eyed are my favorite! I love your mouse treat box--thanks for the tutorial!!! What a cute treat box. I will have to try this one out. I just love your candy box it would make a wonderful gift for my DH. Tks for sharing. I love peachy keen stamps and love everyone of them... esp. the new wide-eye kids. sooo adorable ! TFS !!! This is soooo cute. I just love these stamps. I have only seen these from your wonderful creations, but I love this little guy, so I'd have to say that at this time, this is my favorite set "Wide eyed & Bushy Tailed". So cute. Love this little guy! TFS! fantastic project. I like the boys faces the best, I dont own any of these stamps yet, one day! What a great project!!!!! I love it!!!!! Wow!! This is super cute!! I love this idea!! ummm...that is the cutest mouse ever!!! I don't own any of the peachy keen stamps (not by choice...if I could afford it I'd buy them all!!!) so I would LOVE any of them!!! Thanks for sharing and giving instructions!!!! I will be making this!!! I think I like the wide eyed kid stamps. But it's hard to pick one favorite, love them all. I love how you made everything from punchs... amazing. Your arts of work is amazing. One day I will challenge myself to make one. Loving the new stamps. Thanks for a chance to win. I love them all, but I think I love the Wide Eyed Kids one the most! Love your gift box, you did a fantastic job on it! Thanks for sharing & for a chance to win! How adorable is this little is this little mouse... and the perfect treat!!! I love them all, but my favorite is probably the wide eyed kids! ooooh Kim, How nice is the punch mouse you made. Thanks for the tutorial, this is an verry cute set whit this wide eyes. I hope so that I win this. Thanks for the chance to win.